Kitsap County is located in the beautiful and picturesque state of Washington. Its population hovers right around 250,000 and its county seat is Port Orchard. The largest city is Bremerton, and Kitsap County makes up part of the Bremerton-Silverdale metropolitan statistical area (also included in the Seattle Tacoma, WA combined statistical areas). Kitsap County was developed from King County and Jefferson County, Washington in the late 1850s, and was named after a Chief of the Suquamish Tribe, Chief Kitsap. The county was originally named Slaughter County, but was soon renamed in Kitsap’s honor. Kitsap County residents enjoy a great quality of life, with a low unemployment rate and access to great jobs. The largest employer in Kitsap County is the United States Navy, with naval installations located at the Puget Sound Naval Shipyard, Naval Undersea Warfare Center Keyport, and the IMF Bangor Naval Base. Residents of Kitsap County enjoy Kitsap County’s geographic location. It is connected to the eastern shoreline of Puget Sound by several methods, including the Seattle Bremerton Ferry, Southworth to West Seattle via Vashon Island, downtown Seattle from Bainbridge Island, and from Kingston to Edmonds, Washington. A large part of Kitsap County is surrounded by the Hood Canal, and the Olympic mountain range, as well as the Cascade mountain range, can be seen from nearly anywhere in the county. Kitsap County is unique because of the regions around it. We rest only an hour from larger cities such as Seattle, Auburn, and Tukwila, and are still close to small, charming towns such as Issaquah, Allen, and Port Ludlow. It only takes a few short hours to get to either the Olympic or Cascade mountain ranges, where you will find endless hiking, walking, or biking trails, as well as camp grounds and day-use parks. In the winter, you can find entertainment through ski resorts in Snoqualmie and Leavenworth. There is no end to the things you can do in this area. 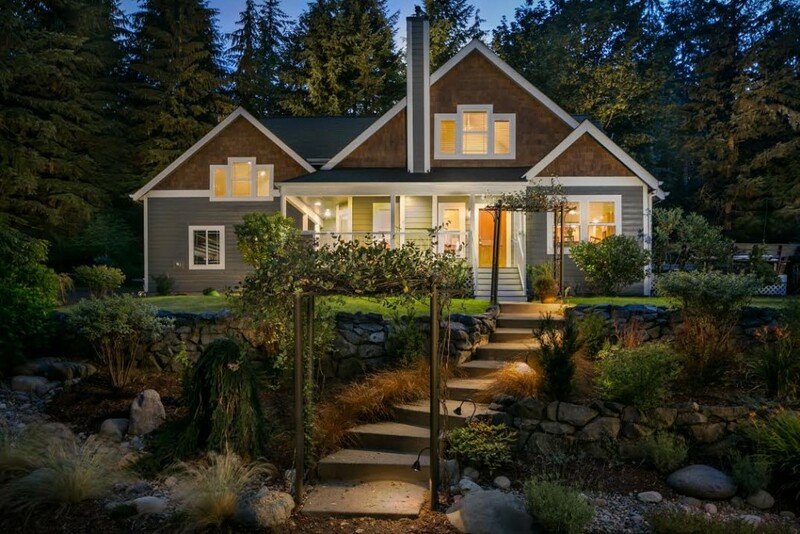 There is a wide range of real estate available in Kitsap County. No matter what you are searching for, our team can help you find exactly what you and your family needs. If you are downsizing, we can help you find a low maintenance condo that will allow you a great quality of life. On the other hand, if your family is growing, we can help you find a traditional single family home that will allow you plenty of room to grow in the years to come. The real estate in Kitsap County is in high demand. The median closing price is higher than the median listing price, indicating a sellers market, with buyers often competing for the available homes. What does this mean for you, as a buyer? It is more important than ever to work with a professional real estate team who can help you find the right property, and then strategically negotiate so that you get the biggest bang for your buck. When you’re ready to get started in your real estate search, we would love to help you find the home of your dreams. Browse through our featured properties, and learn more about the buying process and the communities that we serve. Give us a call or connect with us online to get your search started today.